Long, smooth, silky, and shiny. There is no undercoat. Steel-blue is the most prized color. The most common color is light to dark blue-grey with brown. This dog is upbeat, lively, intelligent, loyal, and surprisingly protective. This dog is upbeat, lively, intelligent, loyal, and surprisingly protective. Silky Terriers need to get used to cats when young to avoid chasing them later on. Normally they are very affectionate with children. They will bark when visitors arrive. You can find Silky Terrier puppies priced from $400 USD to $2000 USD with one of our credible breeders. Browse through our breeder's listings and find your perfect puppy at the perfect price. Silky Terriers need to get used to cats when young to avoid chasing them later on. Normally they are very affectionate with children. They will bark when visitors arrive. Regular grooming (for 15 minutes a day) with a brush and comb is required. Occasional baths are acceptable. The teeth must be checked for tartar. This breed is not known for shedding. The intelligence of this breed makes training fairly easy. Silky Terrier Puppies for Sale - Shipped Worldwide! Finding the right Silky Terrier puppy can be dog gone hard work. PuppyFind® provides a convenient and efficient means of selecting and purchasing the perfect Silky Terrier puppy (or Silky Terrier puppies) from the comfort of your home, 24 hours a day, 7 days a week. Take advantage of our PuppySearch or leisurely browse our directory of hundreds of dog breeds, Silky Terrier dog breeders, Silky Terrier dogs for adoption, and Silky Terrier puppy for sale listings with photos and detailed descriptions. Some Silky Terrier puppies for sale may be shipped Worldwide and include crate and veterinarian checkup. 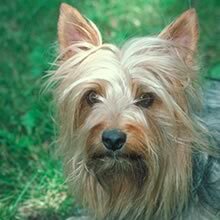 Many Silky Terrier dog breeders with puppies for sale also offer a health guarantee. With thousands of Silky Terrier puppies for sale and hundreds of Silky Terrier dog breeders, you're sure to find the perfect Silky Terrier puppy.